Francesca Gino on rituals, goals, and matching your future self to your current self. An intention without an action is just an idea. But when intentions are framed in the right way, they can actually enable the right actions. Francesca Gino studies decision-making, goals, and negotiation at Harvard Business School, conducting research that led to her popular book Sidetracked: Why Our Decisions Get Derailed, and How We Can Stick to the Plan and countless academic studies. Thrive spoke with her about the science of intentions, the power of ritual, and the questions we need to be asking ourselves every day. THRIVE GLOBAL: Why should we be setting daily intentions? And how does that help our performance? FRANCESCA GINO: Setting daily intentions can be helpful because it can create a ritual to engage in daily. In a forthcoming paper, my colleagues and I found that engaging in rituals helps us accomplish our goals more easily, since it increases self-discipline and self-control. We also found that engaging in rituals before performing a task improves our performance—the same way pre-routines help athletes get into the right mindset before a game or competition. 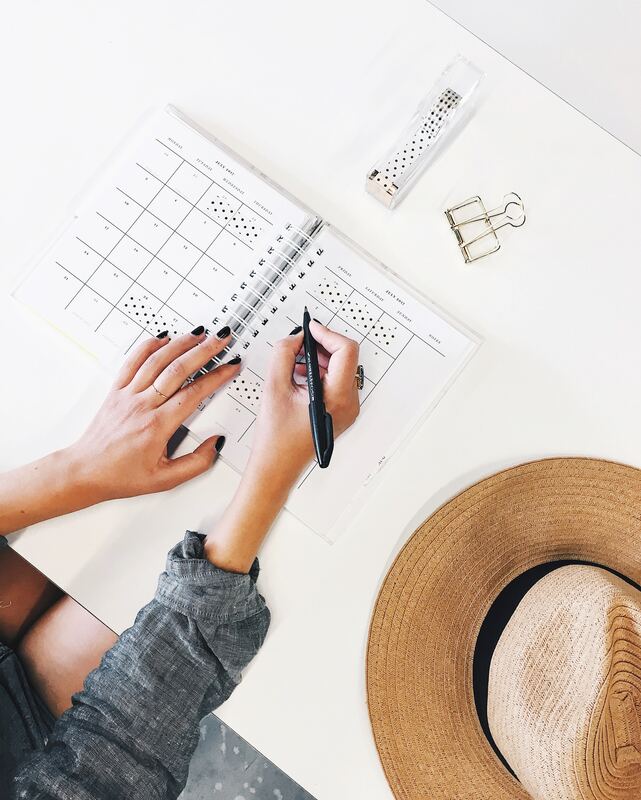 Setting daily intentions can be even more powerful if we write them down—much research has found that writing things down or taking notes help us remember the information better, thus setting us up for success in executing the work and accomplishing our tasks. TG: How can we be sure our daily intentions reflect our larger values and long-term goals? FG: Also relevant here is the research on fresh starts and temporal landmarks, or distinct events that draw boundaries around different periods of time or mark the start of seemingly unending stream of ordinary occurrences, like holidays or the beginning of an academic semester. Landmarks like the New Year or the start of every day help motivate us to reach our long-term goals when such goals are salient in our minds. This is because these landmarks trigger reflection and thus can potentially highlight the gap between our current behavior (such as watching TV every night or overspending) and our rosier, desired future behavior (working out every night or saving more). We all regularly face decisions that entail a conflict between choices that primarily provide instant gratification and virtuous ones that mainly provide long-term benefits (watching TV versus working out). As mounting evidence suggests, we often choose what we impulsively want over what we should choose given our long-term goals and interests. (In fact, I wrote an entire book on how we can easily get sidetracked while trying to reach our goals!) The contrast between our present shortcomings and the hoped-for ideal state that the New Year highlights not only boosts motivation but also helps us meet our goals. For instance, research has found that when individuals who intended to quit smoking wrote about their desired personal future first, and then write about the negative aspects of their current reality, this contrast was more effective in bringing their actions in line with their expectations than only fantasizing about future success was. Similarly, related research has found that individuals who were committed to the goal of supporting a charity pledged more money when focusing on the discrepancy between the current state (the amount already collected) and the target goal than when focusing only on the amount of money already collected. TG: So what are your conclusions from that? It seems that as long as our reflections highlight a contrast between a desired future state and present reality, they should motivate us to act on our goals. Although we can induce such contrasts between current and future goals in many ways (such as by getting feedback from trusted friends and advisers), a temporal landmark such as the start of a new year may be a relatively cheap way to motivate us to accomplish our virtuous goals. Importantly, though, if we feel close to our ideal state already, then the result will be complacency: we will congratulate ourselves for our anticipated achievements rather than take action. We need to break down our long-term goals into actionable items and behaviors we can engage in. In another forthcoming study I conducted — this one over the course of a month — I asked a group of participants to write down their goals for the week every Monday, and then asked about whether they achieved their goals at the end of the week. I asked another group of participants to write down their goals for the week every Monday and the various task they’d have to accomplish to reach them, and then also asked about whether they achieved them at the end of the week. The second group accomplished much more than the first one because they were detailed in the way they wrote down the concrete behaviors and tasks they had to work on. TG: What questions do you think we should be asking ourselves daily about our work? Weekly? FG: What did I accomplish today? What did I learn? These are good questions to ask regularly. First, they’ll keep us motivated. Second, they’ll make us realize we made progress which will increase our willingness to work hard. Francesca Gino is the Tandon Family Professor of Business Administration at Harvard Business School and the author of Sidetracked: Why Our Decisions Get Derailed, and How We Can Stick to the Plan (Harvard Business Review Press, 2013). Follow her on twitter at @francescagino.